It's only 77 days till Christmas! Let's make some Christmas cards! I will teach you some new stamping techniques and how easy design can make a huge visual impact(Ooo and awwws)using new products from the Holiday Catalog! And we will have christmas cookies, coffee AND Christmas music to get us in the mood! 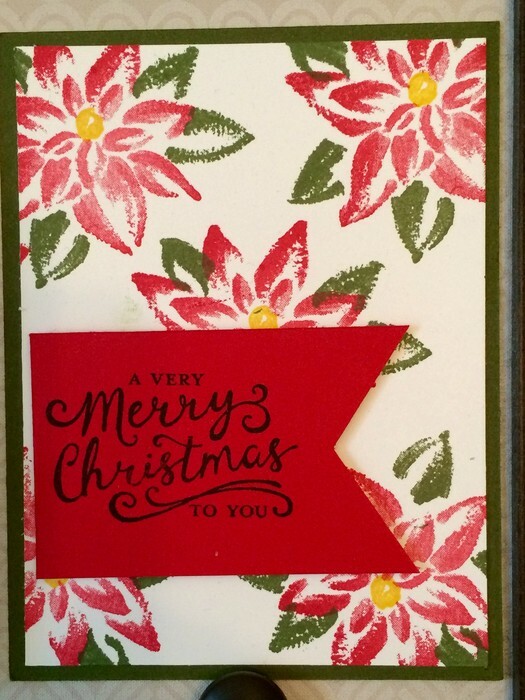 12 cards (4 designs, 3 or each) with coordinating envelopes. 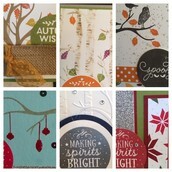 October Card Kits by Mail! 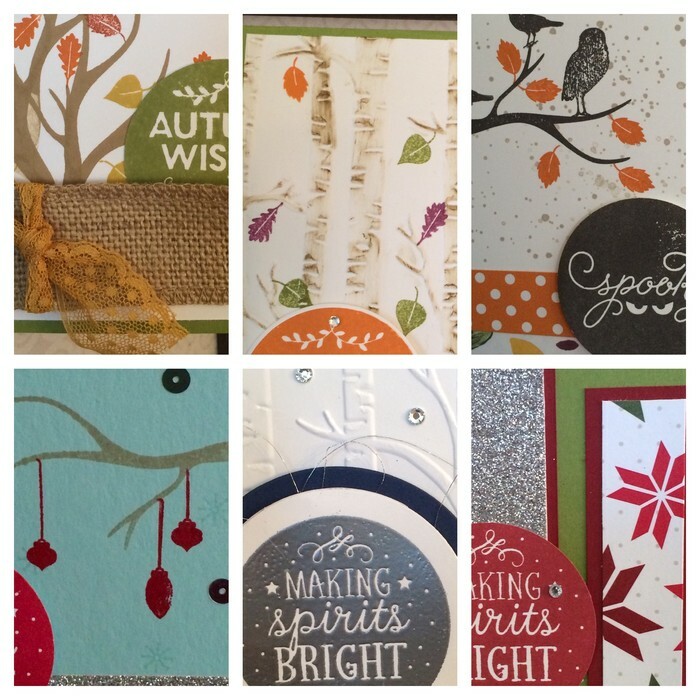 Are you just getting started with stamping and want to build your stamp collection while you are having fun making cards? 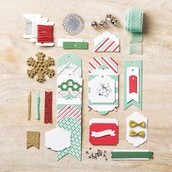 All of the cut cardstock pieces and consumables (ribbon, accessories, etc.) to complete 6 cards plus the stamp set! 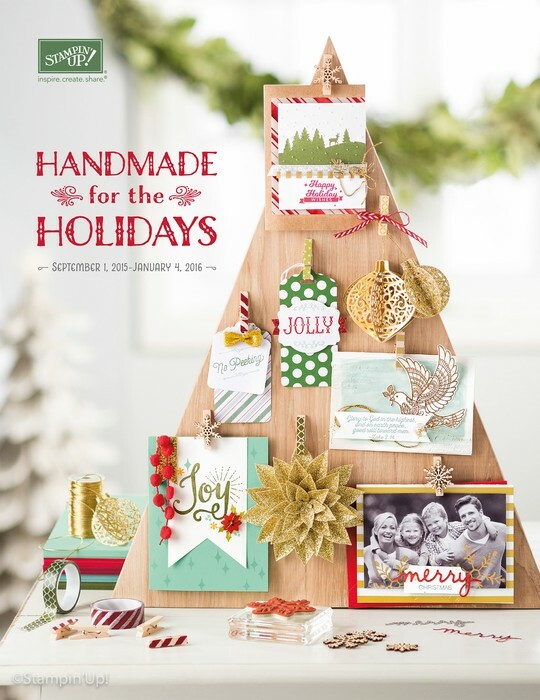 All of the punching and die cutting will be done for you — all you have to do at home is stamp and assemble! Fall is here and it's the perfect time of year to have a girl's night out! Why not earn some free product at the same time! 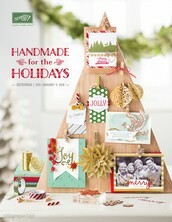 I can help you plan the perfect craft night for you and your friends! AND if you don't want to host it at your house, we can host it at mine! 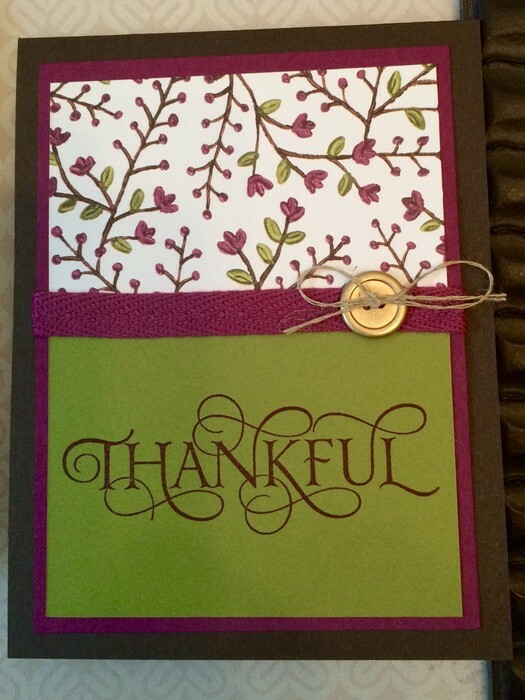 There are not only cards we could make but lots of gift boxes, treat bags, etc. to make. Check out the details here. Christmas is coming! 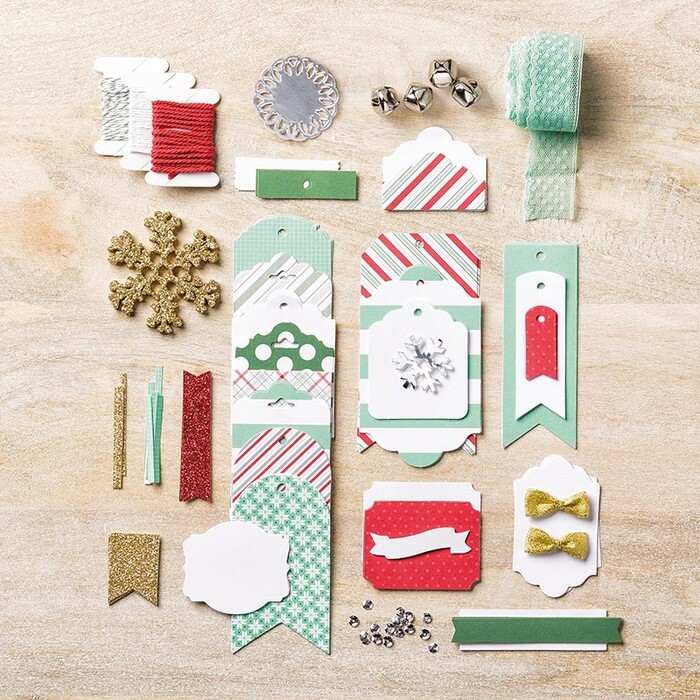 Join me for a crafting night out to make 30 gorgeous Christmas tags for your gifts! 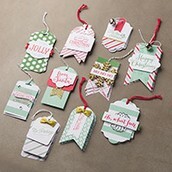 We will create 30 tags using the Oh What Fun tags kit from the new Holiday catalog! I will provide the stamps and all the supplies. Registration is open until Wednesday, Nov. 18th. Class Fee: $33 (includes kit) You can take home your kit with all the extra supplies! 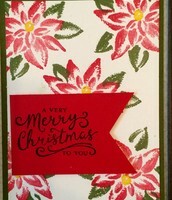 This stamp set is all about poinsettias and comes with three sentiments. You can also get it with the festive flower punch as a bundle for %15 off. 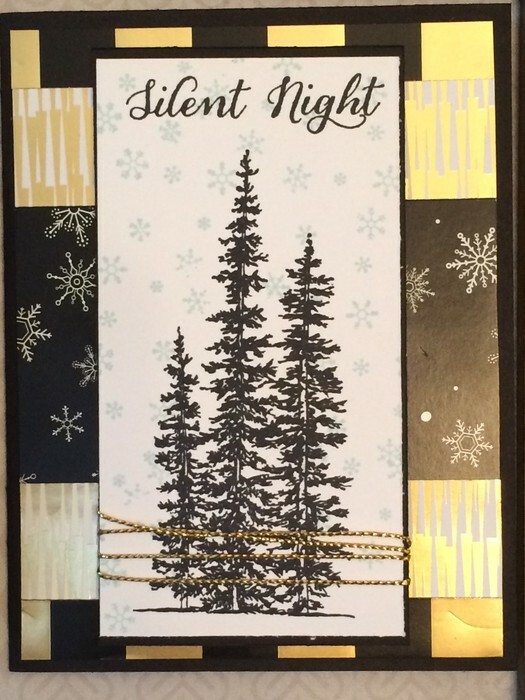 Love the simplicity and elegance of this card. You can only order this set if you are hosting a card night (I can set one up for you). 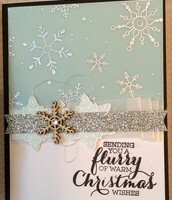 It comes with sentiments only but paired with some designer series paper and embellishments, this set makes a beautiful card! 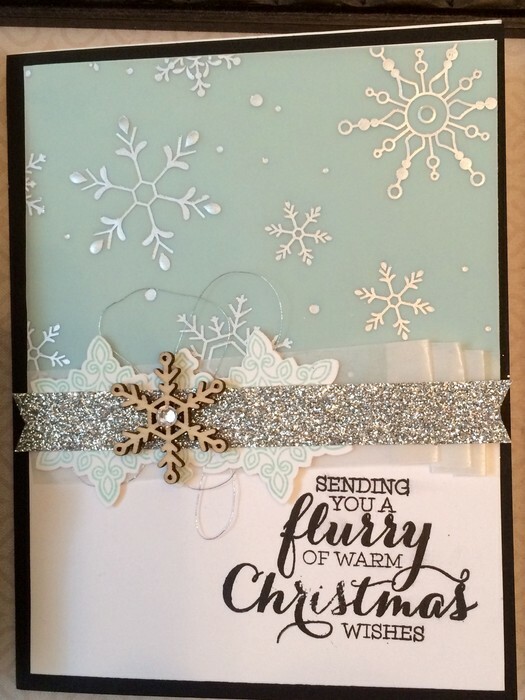 This is a beautiful card made with lots of embellishments!